Jochum Haakma, a lawyer by education, former career diplomat and expert in a.o. Trade and investment Promotion, served at a number of Dutch Embassies and Consulates General abroad, a.o. in 1986 as Commercial Counselor to The Netherlands Embassy in Jakarta. In 1989 he moved to the private sector, as Director of the Indonesian Netherlands Association (in fact the Indonesian-Netherlands Chamber of Commerce) in Jakarta. From 1997 until 2006 he served as Consul General in Hong Kong/Macao and Shanghai respectively. In 2006 he was appointed Managing Director of the Netherlands Foreign Investment Agency (NFIA), the executive organisation of the Ministry of Economic Affairs in The Netherlands. 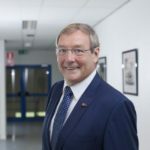 In September 2007 he moved again to the private sector and was appointed Global Executive Director Business Development of the TMF Group BV in Amsterdam, where he was responsible for business development and branding of TMF worldwide. TMF Group is a global independent management and accounting outsourcing firm with more than 130 offices in over 80 countries. He resigned from TMF in 2018. Mr Haakma is also past Chairman of the China Group of the HFC (Holland Financial Centre) and past President of the Europe Council of the NCH. He is former Chief Advisor Public Affairs European Region for Huawei Technologies Co Ltd., one of the biggest telecom infrastructure suppliers in the world and for many years he wrote a monthly column about cultural differences in the China Times newspaper. Concurrently he is Chairman of the Board of the EU-China Business Association (EUCBA) and Chairman of the Board of the NCBC (Netherlands China Business Council). Besides, he is one of the Vice Presidents of the Board of Directors of AmCham, Board member of ENACTUS, member of the International Steering Committee of Nyenrode University, Advisory Board Member of ChinaLux, Advisory Member of a number of China related institutions and a frequent guest speaker or commentator in the media on Asia related affairs. He is also Non-Executive Director Amesto Global LLC and Member of the Board of Ambassadors of Hemingway (Corporate Finance Professionals). Boudewijn Poldermans is sinologist, entrepreneur and consultant. 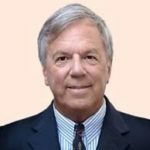 His career spans more than 40 years in academia and senior management positions in business- and financial advisory services, trade and investment consulting in China, Taiwan, Hong Kong and Vietnam, and strategic and political advice to European and Asian governments. Besides he was Honorary Consul to H.M. Queen Beatrix. He has represented and advised companies like Shell Chemicals, Dow Chemicals, Philips, AKZO, DSM, Damen Shipyards, IHC Holland, Gist Brocades, STORK, Océ, Wavin, Wessanen, Fokker, Lürssen and Heineken, and brings significant expertise to clients in research, M&A advisory services, lobbying, contract negotiations and out of court settlements. Since 2007 he has also advised many Chinese enterprises about forming strategic alliances, joint ventures and mergers and acquisitions. He has a vast network of personal relationships with top level business- and government contacts and is a regular speaker, lecturer or moderator at national and international universities, conferences and round tables involving management, economic, finance and political issues relating to China and Vietnam and is a regular radio and TV commentator. He has received broad education with multiple university degrees in Europe and Asia. Jacco Bouw founded Webpower in 1999. During his professional career he focused on the development of the e-mail marketing and marketing automation-industry in The Netherlands and China. In China he collaborated with the Government to draft an anti-spam law for e-mail marketing and introduced the concept of marketing automation. Other concepts such outbound marketing and customer journey are also tailor made for Jacco. Mr. Wilco Hendriks is Global Head of International Business Advisory of Rabobank since July 2017. Based in Utrecht, Mr. Hendriks is responsible for serving the internationally active Dutch corporates. His department employs about 50 FTE staff, located in The Netherlands as well as in the rest of Europe, Asia, Australia, USA and South America. Mr. Hendriks has over 15 years of experience in the banking and financial sector. 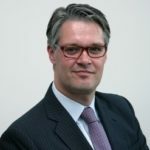 Prior to his current position, he was the Chief Executive Officer in China and General Manager of Rabobank Nederland Shanghai Branch since March 2013 and was responsible for the overall management of Rabobank Nederland Shanghai Branch and Beijing Branch, and the execution of head office’s business strategy in China. Prior to this position he was the Relationship Banker of Wholesale Clients in Rabobank International Atlanta & New York. From May 2009 to June 2012, he was the Asia Chief Financial Officer for Rabobank International. 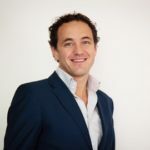 Mr. Hendriks joined Rabobank in 2003 and has held various positions in Rabobank International (RI)’s Finance & Control department in Utrecht, the Netherlands. 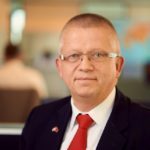 Before Rabobank, Mr. Hendriks worked with ING Group for two years as Assistant Audit Manager for ING Central and Eastern Europe. He started his career with Ernst & Young Auditing, where he worked for more than five years. Mr. Hendriks holds a Master degree in Audit and Control, and a Post Graduate Auditing degree from the University Nivra Nyenrode in the Netherlands. 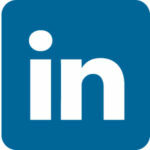 He is also a registered Dutch Accountant / auditor (RA) since March 2003. After finishing her master’s degree in International Relations at the University of Amsterdam, Fleur moved back to China in 2012 to study Mandarin Chinese in Chengdu and work in the field of research. She has worked for the Stockholm International Peace Research Institute (SIPRI) in Beijing on China’s external relations, such as China’s relations with Japan, North-Korea and with various countries in the MENA region. After her time at SIPRI Beijing, Fleur became a Marie Curie Doctoral Fellow at Fudan University in Shanghai as part of a PhD program established by the EU. 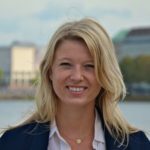 Her PhD research was focused on the development of the EU-China relationship and their cooperation on international security matters. Fleur has also carried out various more commercial research projects, such as her work for the Netherlands Business Support Office (NBSO) and Jaguar Land Rover. Jaap has been working for the Hotels van Oranje in Noordwijk for 25 years. 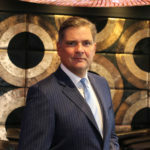 He started in the sales department and was the Commercial Dorector of the Hotels van Oranje until 2010, when he was appointed as the Managing Director of the Hotel. Jaap Liethof has played an important role in the past as organisor of many charity events for a.o. Quality of Life, Spieren voor Spieren, ITforKids, Engelandvaarders, etc. Henny Swinkels has been active in the veal industry for more than 25 years. He is Director Corporate Affairs of the VanDrie Group. The VanDrie Group is a global market leader for the production and processing of veal, calf feed and calf skins. In 2010 Henny Swinkels was appointed as Officer in the Order of Orange Nassau and received a royal decoration. Henny Swinkels was also appointed as Knight in the French Order of Agricultural Merit. This decoration was awarded by the French Minister of Agriculture. Henny Swinkels is active in the meat and veal industry and currently holds several national and international positions. As from 1983 André Vrijsen worked for Holland America Line as a marine engineer. In 1990 he made the change to work for Stork, fully focused on Asia in various sales- and service-support positions. During his time with Stork he worked and lived 3 years in Singapore and 2 years in Wuxi, China, setting up local sales- and service-support centers. In 2007 he continued his carrier at IHC where he now is the Area Director China, of Royal IHC, responsible for all the activities of Royal IHC in China, organized from a Sales-Office in Beijing, and a Service-Support Centre in Tianjin.